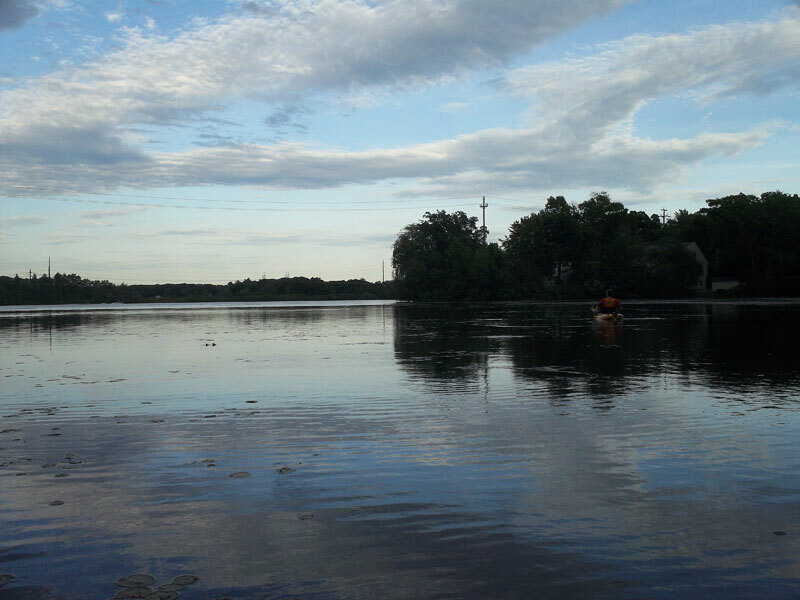 Bob & I had a wonderful time kayaking Lake Quinsigamond this evening. I brought my camera but it was full! I had to delete a few files to be able to take this one photo. We did see a mom duck with six ducklings, plus a bunch of cute baby Red Winged Blackbirds all learning how to perch on reeds :).